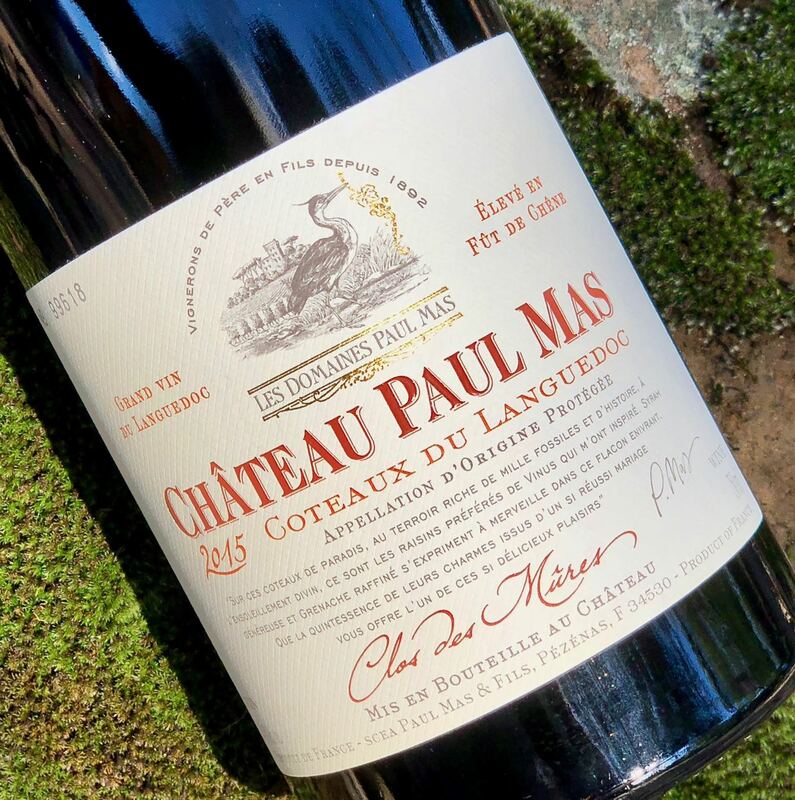 Our Cellar Note for today takes us to the sunny, southern French region of Languedoc for a small taste of wine from a large portfolio of wines produced by Domaines Paul Mas. Who couldn’t use a little ray of sunshine in winter? We received all three wines as tasting samples. 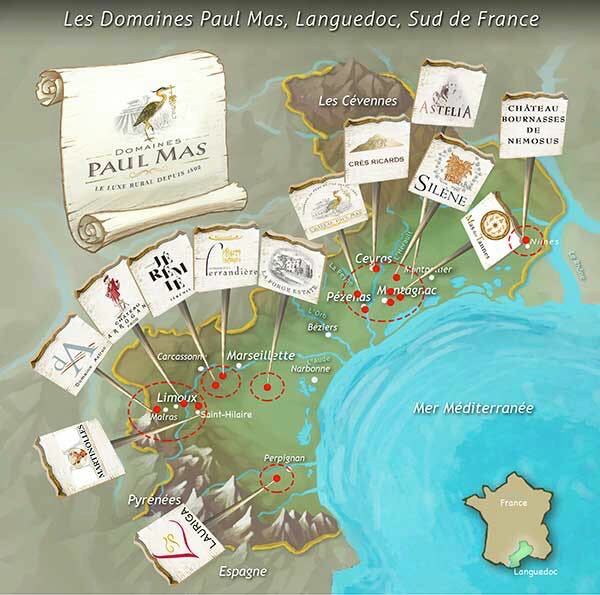 Domaines Paul Mas produces a broad portfolio of wines in the Languedoc that are sourced from a combination of estate vineyards (approximately 1600 acres) and contract vineyards totaling over 1000 acres. Both indigenous and international grape varieties are used in winemaking and the range of wines includes white, rosé, red and sparkling. As you can see from the map below, locations stretch across the entire, very large, Languedoc-Roussillon wine region. The history of Domaines Paul Mas begins with the purchase of 22 acres of vines in 1892 near Montagnac in Languedoc. 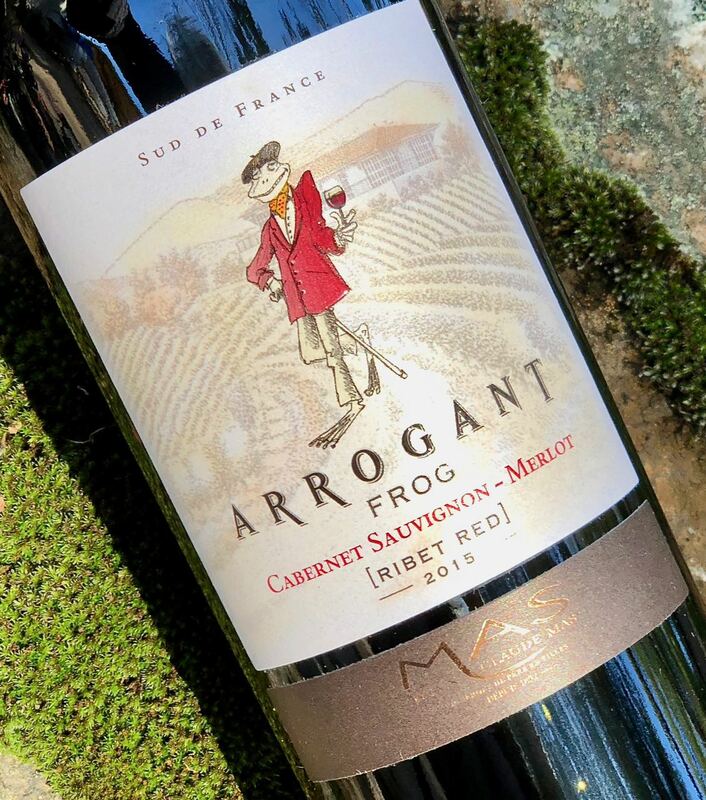 That original purchase has been built upon by three subsequent generations of the Mas family with Jean-Claude making the transition from grape grower to winemaker in a big way. 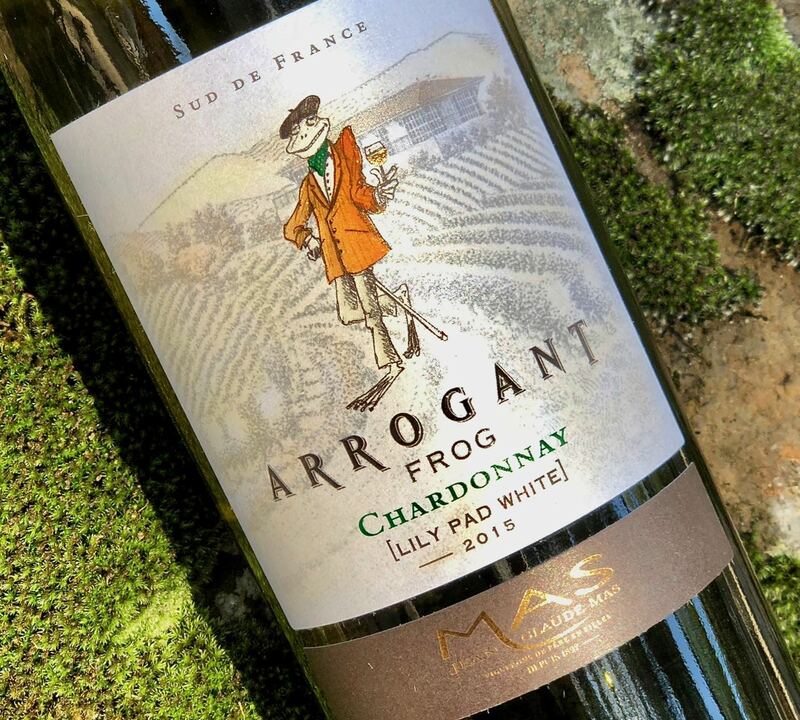 He named the winery after his father, Paul Mas, and the winery has been in Jean-Claude’s able hands since 2000. 15% Viognier is blended with the Chardonnay. 30% of the Chardonnay finishes fermentation in oak barrels where it remains for a further 3 months. I’m not sure which is more noteworthy about this wine – the flavors or the price. Often Chardonnay at this price is not very flavorful – not so with this Chardonnay. This is a summertime sipper that would be perfect on a warm afternoon, food optional. And, you won’t even need to pull that cork, just do the twist (it’s closed with a screw cap). Fruit salad, chicken or shrimp pasta would all make nice pairings. The blend is 55% Cabernet Sauvignon, 45% Merlot. Fermentation takes place in stainless steel with only 25% of the wine aged in oak for 4 months. My first thought for a food pairing with this wine is pizza. I don’t eat hamburgers, or I might suggest that. Take this wine when there’s a large group of wine drinkers and a more expensive wine might just get lost in the crowd. 85% Syrah, 10% Grenache, 5% Mourvèdre make delicious partners in this wine. Production notes indicate all vines are between 35 and 18 years old. The wine is aged for 9 months in a combination of French and American oak (30% new, 35% second-use barrels, 35% third-use barrels). Coincidently, just a few days before I tasted this wine I pulled a cashmere sweater from my cedar chest. I always enjoy the subtle cedar aromas that escape from the cedar chest when I open it. The flavors in this wine took me back to that experience. Domaines Paul Mas is a name that is familiar to us. We hope it will become one that is familiar to you. Thanks to Gregory White PR for the reminder that the wines of Domaines Paul Mas offer such good value for the price. I have always enjoyed Paul Mas wines. Thanks for sharing.